I don’t know how many of my readers are familiar with Plato’s Closet but in short, it’s a second-hand store that carries only trendy styles. I was first exposed to Plato’s Closet in college and our relationship got off to a rocky start. As most college students do at some time in their career, I was trying to find ways to make a little extra money. Donating blood was out of the question, since I go weak in the knees anytime I see a needle coming toward me. 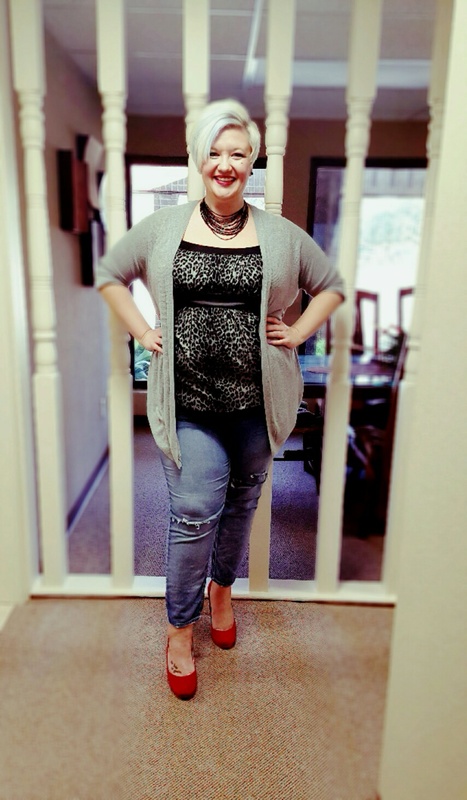 But consigning clothes seems like a no-brainer for a fashionista, right? Turns out, the folks at Plato’s Closet never seemed to want my second-hand clothes. They weren’t “name-brand” enough. More than once, I left that store very frustrated. I also had very little luck finding anything I wanted to buy. All around, not a great experience. Fast forward 10+ years. My current roommate, Marlene (deal-finder extraordinaire), has managed to build an extremely cute wardrobe from her Plato’s Closet finds. Day after day, I see her in these cute tops with matching jewelry or to-die for wedges with coordinating clutch and I think, what am I missing? That’s when I decided to give Plato’s Closet another chance. I was skeptical to say the least. After all, Marlene is smaller than me. 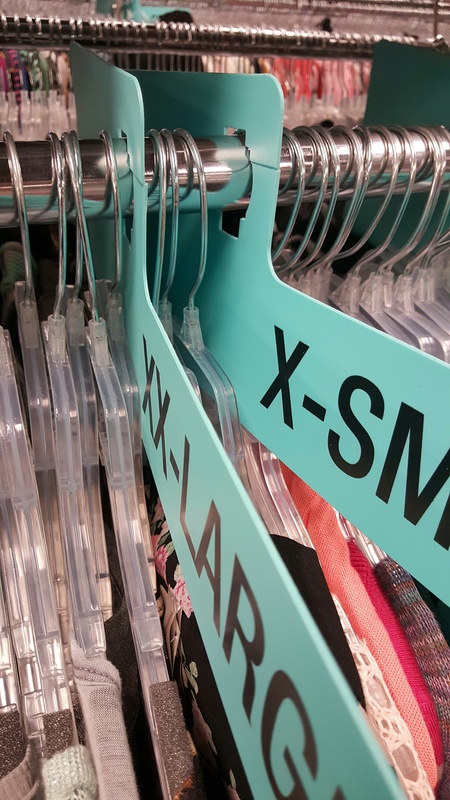 What were the odds that they would have a decent plus-sized section? Poor. The odds were poor. You see this picture? Those 3 hangers represent about 50% of their plus-sized inventory. And truthfully, of those 3 tops, only one was truly plus-sized. One was a large in the wrong section and the other was a 2XL that would’ve fit my 10 year old niece (who is not overweight, btw). Sometimes it’s hard being right all the time. Not one to like stories with an unhappy ending, I was determined to leave with something to put in my closet. And that’s when I stumbled upon the size 11 shoe section. The fact that they even had one was a miracle in and of itself. But to top it off, there were actually CUTE shoes on the racks. I all but forgot my frustration when I laid eyes on these beauts. 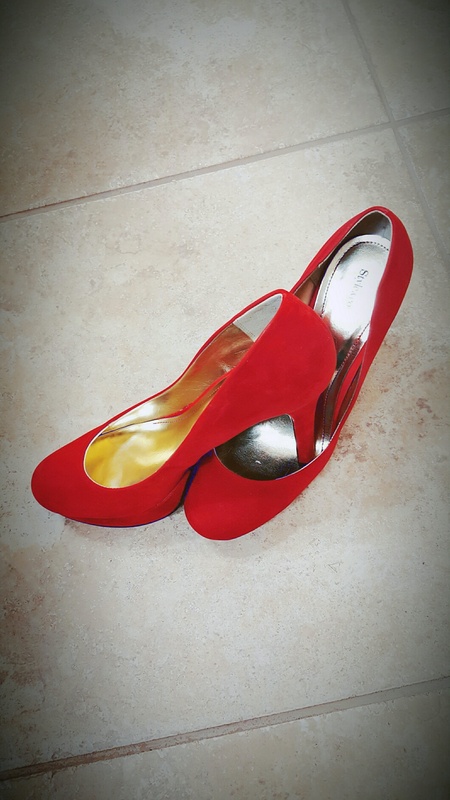 Have I mentioned that I’ve been looking for a pair of close-toed, red pumps??? WHEW! Sad ending averted! I promptly purchased the shoes and began planning todays OOTD in my head. Will I become a Plato’s Closet regular? Nope. Will I stop by next time I need to add a cute pair of shoes or purse to my collection? Probably so. Thank you! I thought so too!! !